Enjoy one-way Private, Non-Stop transfer between Hollywood, CA and the Disneyland/Anaheim Resort, and surrounding cities such as Buena Park, Orange, Fullerton, Cypress and Long Beach. 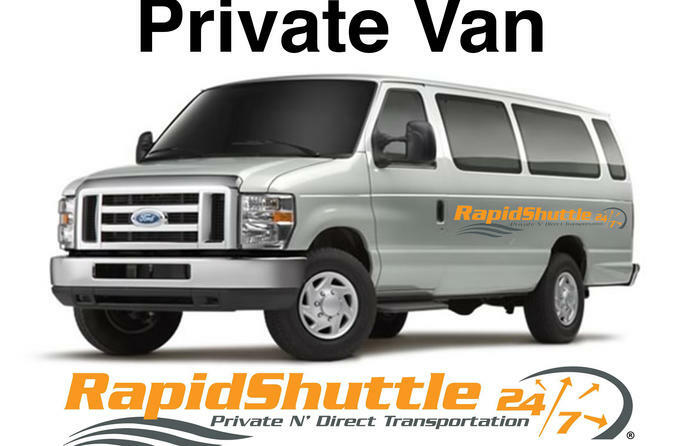 This Private, Non-Stop Transfer can be reserved up to ten (10) passengers within the same party. Multiple hotel pickups/drop offs available upon request. Wheelchairs welcome. A larger-than-life symbol of the entertainment business, Hollywood beckons tourists with landmarks like TCL Chinese Theatre and star-studded Walk of Fame. Highlights include Paramount Pictures, historic music venues like the Hollywood Bowl, and Dolby Theatre, home of the Oscars. Scenesters can choose from improv comedy clubs, retro-cool bars, and velvet-roped nightclubs. Locals frequent eateries in nearby Thai Town. Upon the driver arrival, present your pre-paid voucher to the driver, and you are on your way! This private, one-way transfer can be reserved for up to ten (10) passengers in the same party! Book your Private, Non-Stop transfers To or From Hollywood, CA. today and save.